Rashiq Fataar » The launch of Future Gold Coast: Why Gold Coast? On 09 April Future Gold Coast was officially launched and will be headed by Michael Roach. Formed from a conversation which spanned more than 12 months, Our Future Cities now comprises Future Cape Town, the founding movement, as well as Future Lagos, Future Johannesburg, Future London and Future Gold Coast. The expansion to other cities has helped grow the Our Future Cities network. In 2014, more than 40% of readers were from outside of South Africa and over 74,000 social media followers follow the platforms. Other major activities have included operating creative spaces, producing an installation, participating in exhibitions, conferences and research. Unpacking the addition of Gold Coast to the network, I had a conversation with Michael. You can also read the full press release here. Rashiq Fataar: We are very excited to go down under, and to welcome to the family one of Australia’s fastest growing cities, Gold Coast. 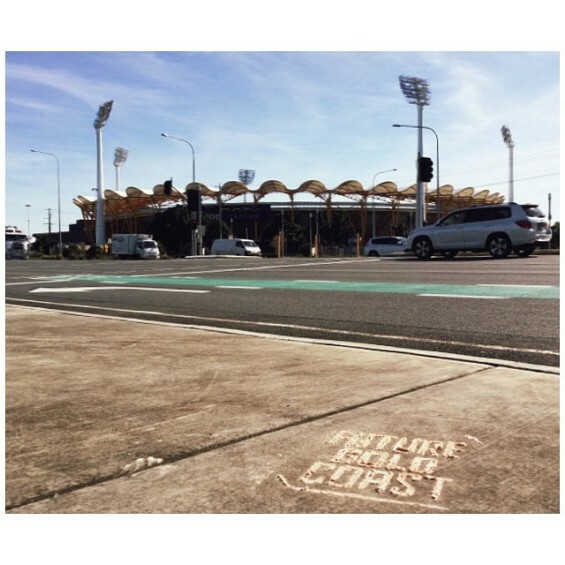 ‘Why Gold Coast?’ is a question I anticipate from our existing followers and friends. Tell us more about the city and why this moment in time is so prime to start a movement. Michael Roach: Since Gold Coast is the host of the 2018 Commonwealth Games it creates a symbolic deadline to framing those discussions, content and ideas needed to shape the future of a vibrant city. Gold Coast is the sixth largest city on the Australian continent, and in recent decades has been one of the fastest growing regions in Australia. The Gold Coast has a unique character and form, developing from a strip of coastal villages and towns into a 21st century urban region. The Gold Coast’s population will double by 2050 with two-thirds of the population growth expected to be accommodated within the current urban footprint. This set of challenges creates opportunity to drive positive change ahead of our time on the world stage in 2018. RF: Australian cities are often listed as some of the most liveable in the world. Can you elaborate on what the main challenges are for Gold Coast? MR: I rate the Gold Coast in terms of the health of its burgeoning communities. The intangibles that light up communities here, as well as the infrastructure that supports them. While arriving visitors discover a sun-drenched destination with over 300 days of sunshine, we are confronted with the growing pains of a developmentally driven city. 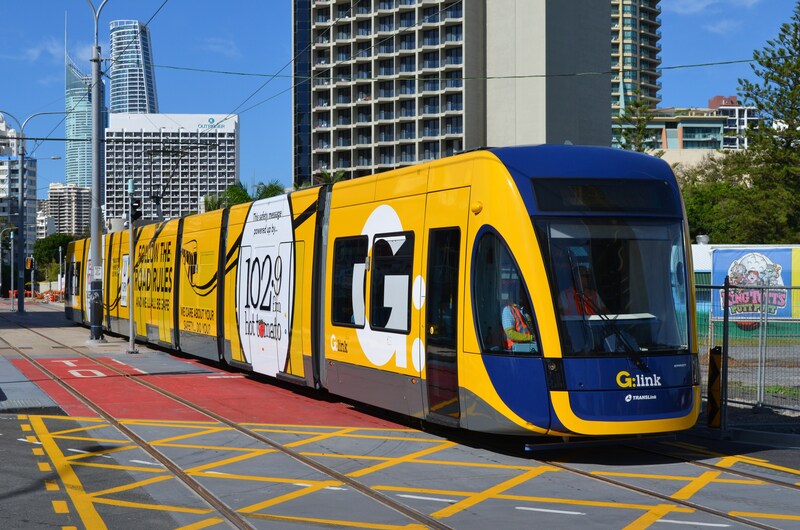 The Gold Coast must now correct its disparate intra-regional connectivity and public transport and step out of its over-reliance on a service or construction economy. RF: Gold Coast is the host of the 2018 Commonwealth Games, a significant mega-event for a city of its size. What has this event meant for the urban development of the city, and what are the key projects which can move Gold Coast into the future? MR: The physical layer to this event is already making a marked impact. The redevelopment of Parklands, Southport for the athletes village is a large urban renewal project. There will also be further communications infrastructure and sporting infrastructure coming online, however what we won’t see is a wider urban renewal program taking place. The city has tried, to some extent to balance long term urban regeneration needs with those of the event itself. The rest of Australia along with Future Gold Coast will be keenly looking at the positive economic impacts and signs of a legacy momentum. We urgently need to ensure an event legacy of new institutions, processes and activity that continues to bear fruit long after the event has moved on. RF: How does your current work align with your vision for Gold Coast? What has inspired you about the city? MR: Involvement with the buzzing local media, arts and culture industry here as well as being a business trainer for the local workforce keeps me finely atuned to the city. The distinctiveness of Gold Coast is what drew me here over 11 years ago and in my view the coastal form is its biggest, most uplifting and memorable asset. A vision for Gold Coast is impossible without looking to its natural assets to shape and frame new development. In recent times this has seldomly happened, however, we are getting better at this in some cases. RF: How can Future Gold Coast become a platform for dialogue in Gold Coast? Is this form of dialogue and critical observation missing in the city? MR: Future Gold Coast can foster a sense of belonging and stewardship by residents. The thought provoking ideas coming from this platform will be a moving dialogue to challenge the status-quo and help the city to innovate and lead by example. I’m looking forward to a talking about those things that aim to explore and enhance the things that Gold Coast values the most. Follow Future Gold Coast on Twitter @futuregldcoast and on Facebook here.